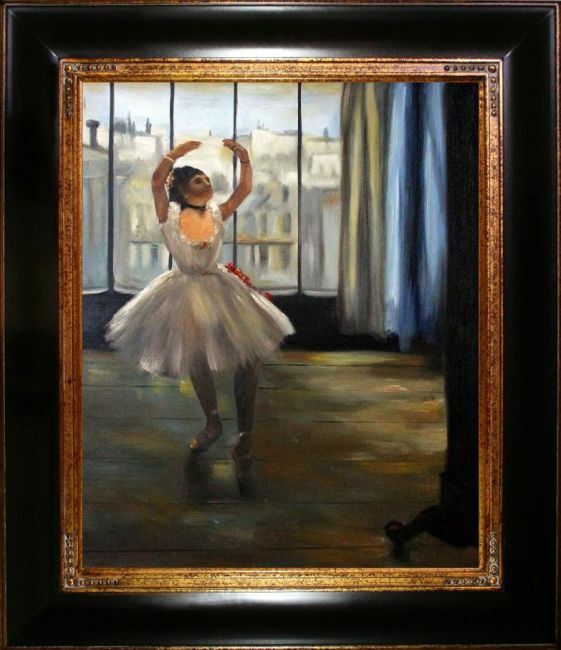 Degas' Dancer Posing captures a young ballerina caught posing in front of a mirror in her dance studio. 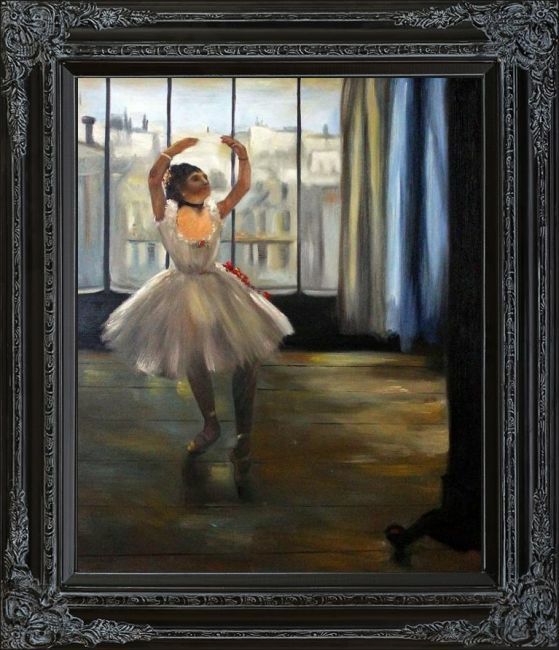 Once again, Degas gives us a glimpse into a dancer's private world and the viewer gazes upon her somewhat voyeuristically. 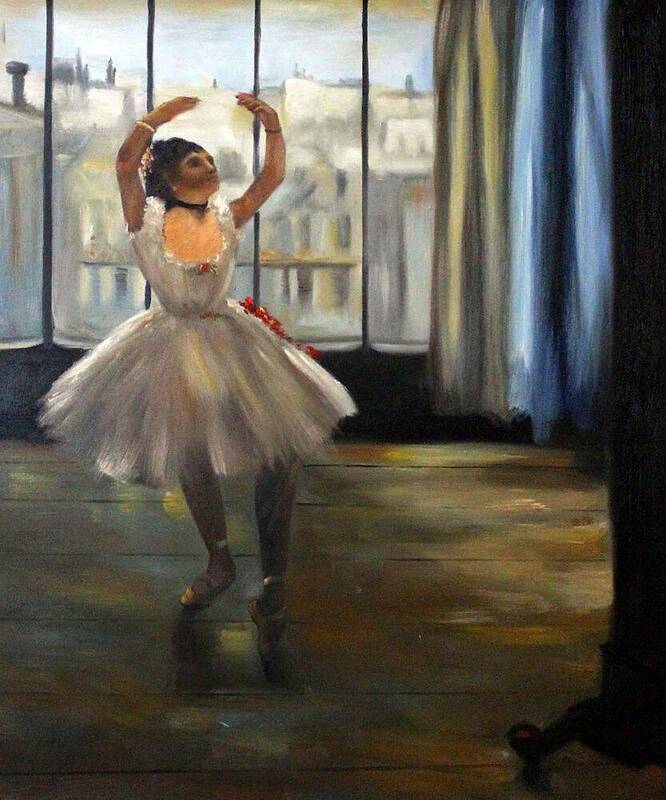 Her pointed toes are precisely rendered as light streams in from the window, highlighting her torso and costume. The background imagery of the city of Paris is more muted and blurry. This is another signature of Degas' unique style. 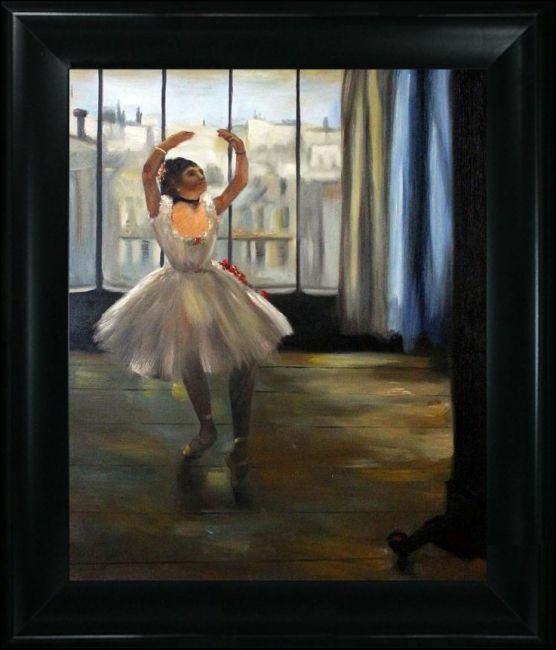 This work is considered a master of Impressionism, although Degas did not like the term himself. 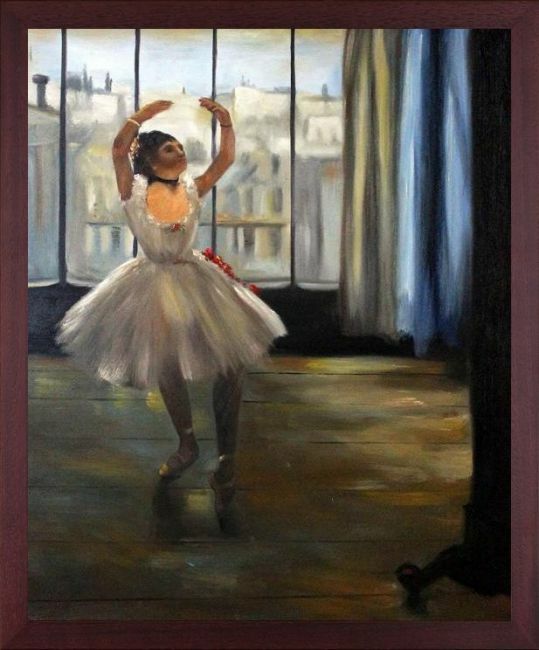 Dancer Posing was originally completed in 1878 and is today part of the collection of a Moscow art museum. Our artists have hand-painted a nearly exact replica of this work that measures 20" x 24".